Originally released as individual episodes from April and ending in November 2012 this interactive survival horror video game is based on the Walking Dead comic book series and can now be purchased as an entire season as a standalone disc. You play the role of university professor and convicted criminal Lee Everett, who helps to rescue and subsequently protect a young girl named Clementine from a plague of zombies. The game itself is character driven and the story is affected by both the dialogue choices you make and your actions during quick time events. The choices you make will carry over from episode to episode. 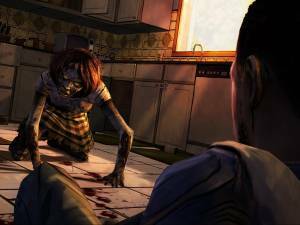 No discussions open for Walking Dead: The Game at the moment.